If you’ve been following me on my various social medias, you’ll know that I unofficially changed my name to Emerson at the start of September. Which means that this Christmas is my first Christmas with my new name, and something that never even crossed my mind before has come to the forefront- what name to write on my Christmas gift labels. Logically, I should just put “Emerson”, right? Unfortunately, it’s not that simple. 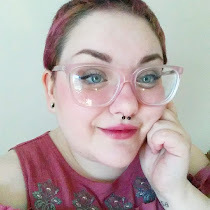 As you know, coming out as non-binary over a year ago has been a process, one that I’m still working on. At this point I’ve come out to (roughly) everybody, except my dad and my grandma. I’ve mentioned the name change to my dad. However, we haven’t really talked about it, and quite honestly, he’s probably forgotten. My brother and his girlfriend also have heard about my name change/me being non-binary, but I haven’t further talked to them about it because it makes me nervous. My grandma will probably never find out simply because it’s easier for her not to know. Living a kind of double life has never seemed more true than now, as Christmas rolls around and I have gifts to wrap. Who would have guessed? Now I must make a decision. What name should I write on my gifts? 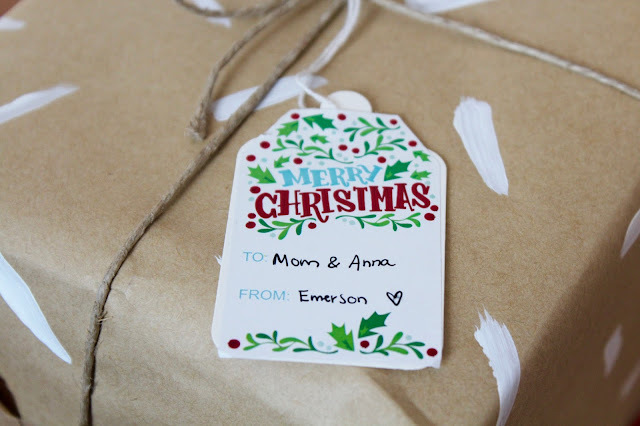 Naturally, I’ll use “Emerson” on the gifts to my two biggest supporters, my girlfriend and my sister. But even my mom, who knows that I’m non-binary and tries her best to be supportive, refuses to use my new name because she has a hard time with it. Ideally, I should just sign everything from “Emerson”, but even just the thought of that has me on edge. Once again, I’m afraid of making people uncomfortable, which is why to took me so long to come out. Change is difficult for me, even when I know it’s right and good. So do I just be brave and use my new name, or let people continue to use my old name because it’s what they are comfortable with? As I filled in a gift tag last night, my pen hovered over the space after the “from” for a good thirty seconds. All the questions I asked myself came rushing through my head as I fought to make a decision that should have been easy. Use my old name because it’s what people know, or use my new name because that’s who I am and people need to respect that? No, it won’t be easy having to remind people of my name as I hand them their gifts. No, it won’t be easy receiving gifts addressed to my old name. But the answer is simple, really, if I forget about all the anxiety. “Emerson”, I wrote, with a heart after it just like I always do.